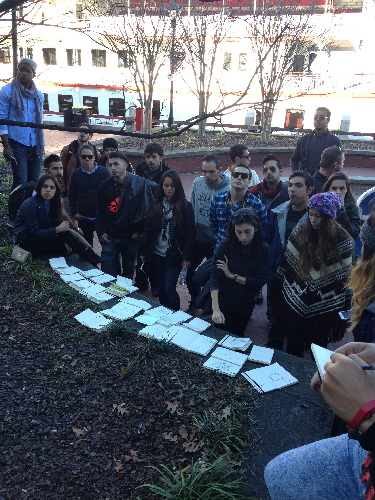 Students in the FIU Department of Architecture visited Savannah during the weekend of January 23rd – 25th. 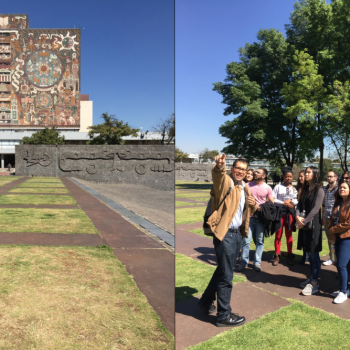 96 students from Graduate Design 6 and Formative Studio were joined on the trip by Jason Chandler (Chair and Associate Professor), Cynthia Ottchen (Adjunct Faculty), Nathaly Haratz (Adjunct Faculty), Glenda Puente (Adjunct Faculty), and Armando Rigau (Adjunct Faculty). Students examined Savannah’s clear and explicit city edge along the Savannah River, the city’s urban structure, and grand private homes that measure up to the scale of public buildings. They also studied the infill housing structure in the city, the commercial buildings on Main Street, and Savannah’s square and block typology. Students were assigned to create sketches that related and responded to their experiences in the historic port town. Those who participated in the trip took various walking tours across Savannah. They visited sites such as the Telfair Academy building, 8-10 East Taylor Street on Monterey Square, the Jepson Center, and Telfair Square.